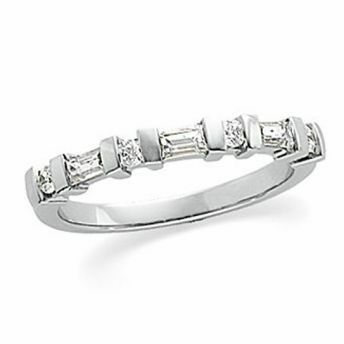 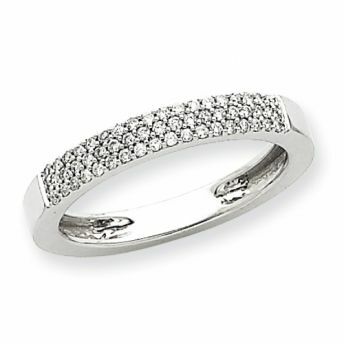 Diamond band with 10 round-cut diamond set with shared prongs. 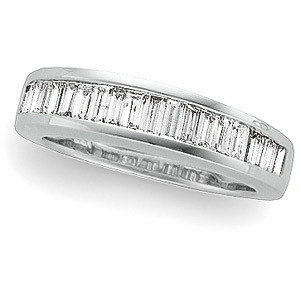 Band design features a slight curve to accommodate engagement rings with wide tops and halos. 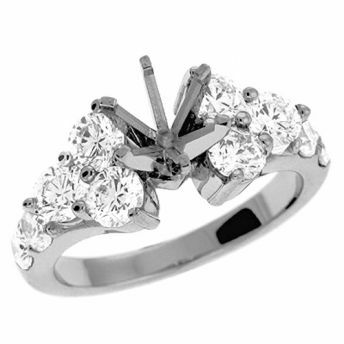 For special order in platinum -$4,100- allow 3 weeks for delivery.